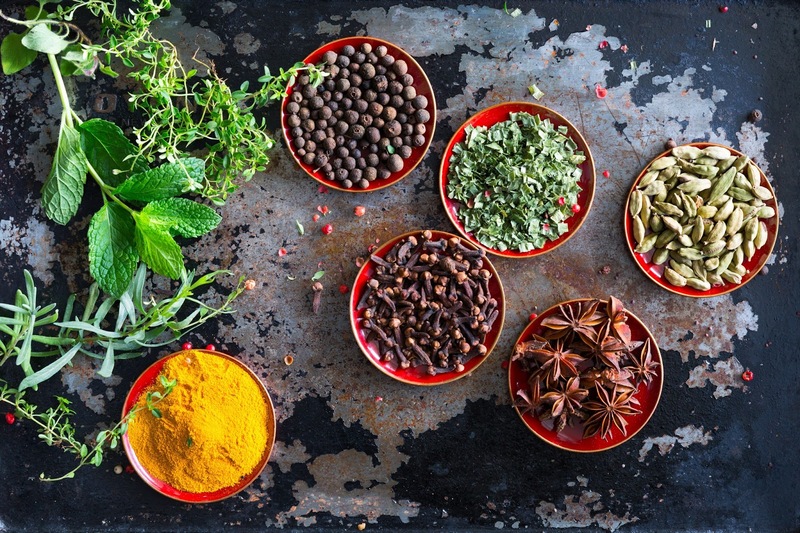 Herbs can add to the overall flavor of a meal while helping you control sodium intake. Because of their more intense concentrated flavor, dried herbs can be substituted for fresh herbs at a ratio of 1 to 3. Basil – This bold herb can be used in everything from salads, soups, sandwiches, pasta and pizzas for a classic Italian flavor. Chives – From the leek family, chives often flavor foods such as potatoes, soups and meats. Great in omelets and lovely used as a fresh garnish. Cilantro – A very distinctive “colorful” flavor—fresh and green. Used in Mexican and Southwest cooking, it’s perfect when paired with lime in salad dressings. Dill – A fresh, light-flavored herb often paired with salmon, sweet roasted carrots or creamy new potatoes to add flavor with less salt. Oregano – Used in many Italian dishes, oregano has a very distinctive aroma. Works well on grilled fish and in soups, salads and tomato sauces. Parsley – Flat leaf or curly, parsley is the most versatile of herbs, imparting a subtle flavor that mixes well with other herbs. Used in salads and with vegetables, fish and meats. Sage – Often used in winter recipes, especially with roasted meats and winter squashes. Sage leaves can be flash fried for a delicious garnish, especially over pasta dishes. Thyme – There are several varieties, including lemon and spicy orange. Thyme is a good addition to roasted vegetables and chicken dishes, as well as salads and fish. Experiment with these herbs; you’ll be surprised how much flavor they bring to your favorite foods and you’ll not miss salt at all!